Calm your mind while creating beautiful images. 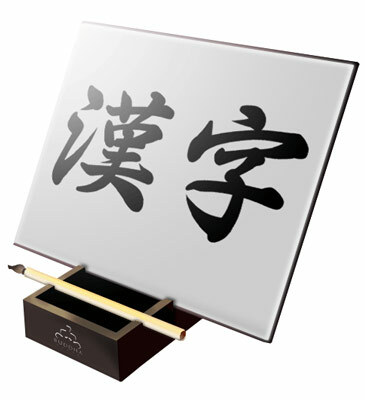 A Zen-like Etch-a-Sketch, the Buddha Board utilizes the art of Chinese calligraphy - the art of writing and painting with water. Use the included brush to paint designs onto the board with water. As the water evaporates your image will fade, but will reveal a new perspective on your creative endeavors, encouraging the Zen idea of living in the moment. 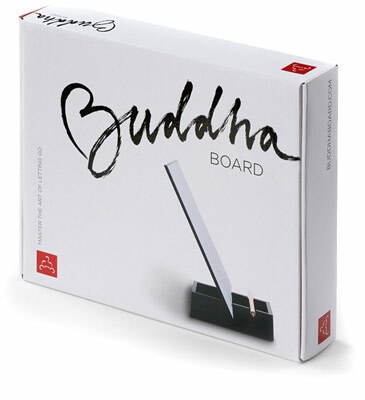 Painting on the meditative Buddha board is the perfect preoccupation for children of all ages. Stand, board and brush included. 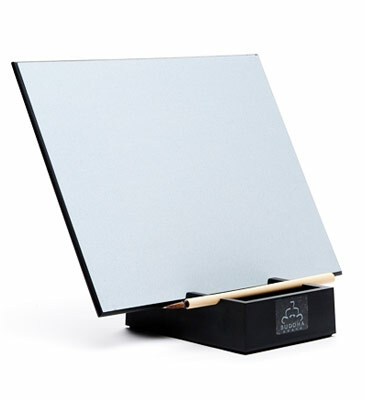 For those in search of the perfect holiday, bridal or house gift, the Buddha Board may be just the ticket. A playful conduit to the art of living in the moment, this combination philosophical toy / art project gently encourages the user to value the here-and-now. Paint on the board's special surface with water; the image darkens and then slowly fades away. Soon there is nothing. Create your work of art, appreciate it for what it is, and then let go and start again - it's about tapping into a part of ourselves many of us never knew existed. Doodle, practice calligraphy, make something artistic, whether or not you're an artist! You can use different brushes, a spray bottle, even your fingers. 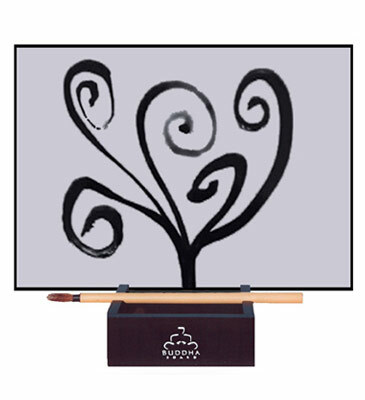 Buddha Board helps bring out the creative side that exists in all of us; anyone can create a work of art, all you have to do is try.